The boy stared listlessly at the figure-eights he had traced in the dirt. He was drifting off, drifting into the no-land where things were and weren’t. He thought about packing up his Matchbox cars, and the little fold-out town of a carrying case he lugged them around in, but he didn’t. From behind him, the rattle of dice in a tin cup competed with the dulcet tones of Italian for his attention. His father and his uncle’s weekly game of backgammon was a family tradition, as was the bottle of vino that accompanied it. “Doble!! !” his father shouted, picking up the doubling cube and slamming it onto the bar. Doble, the boy thought, as he picked up a tiny light post and, turning it upside down, slammed it into the carrying case. That’s what the guy walking the dog told Officer Deets when his cruiser rolled up to the corner of Mississippi and Landis. The guy was obviously agitated and Deets couldn’t blame him. He would have been pretty spooked himself to be walking along the sidewalk and hear a metallic grating noise coming from two feet above his head. His voice trailed off as they both stared up at the street sign again. To hear the dog-walker tell it, he was still relatively new to the area, so he had just looked up at the sign at the corner of Mississippi and Landis and had made the turn on Landis when he heard the noise. And there it was. Someone — or some thing, if the dog-walker was to be believed — had upended the top of the street sign, so that the markings for the intersection were flip-flopped and turned upside down. But to hear the dog-walker tell it, that was the least of their worries. The game was getting toward the end now. The boy was aware that both his father and his uncle’s voices were a little thicker with drink… their Italian more of a slur than the gentle rolling from the start of the game. Return to the start indeed, the boy thought, grabbing one of the dolls off the sidewalk. The dog-walker’s eyes were bugging out and Deets was thinking this call was going to involve someone from the psych ward at Scripps Mercy if he doesn’t start making sense soon. Granted, the upside down sign was legit, but what he was saying about the streetwalker, well, that just didn’t make sense. “And then she just disappeared?” Deets asked. 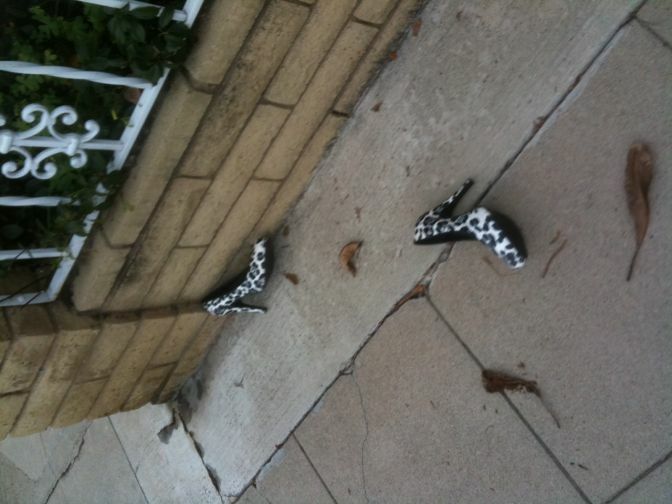 Deets looked at the high-heeled shoes and then down Landis toward Louisiana. There was a camera in the roundabout there. The locals didn’t know about it (yet), but he’d be able to see if this part of the story checked out. The men were cleaning up the board, stacking the chips and slotting them when they looked down at the boy playing in the dirt. “What do you think he thinks about all day?” the uncle asked. The boy pushed a Matchbox police cruiser into position. Deets told the dog-walker to sit and not touch anything. The second the man sat down on the curb, his dog came up and started nuzzling him. With that, the man burst into tears. Deets thought again about calling Scripps Mercy, but called for the detectives instead. 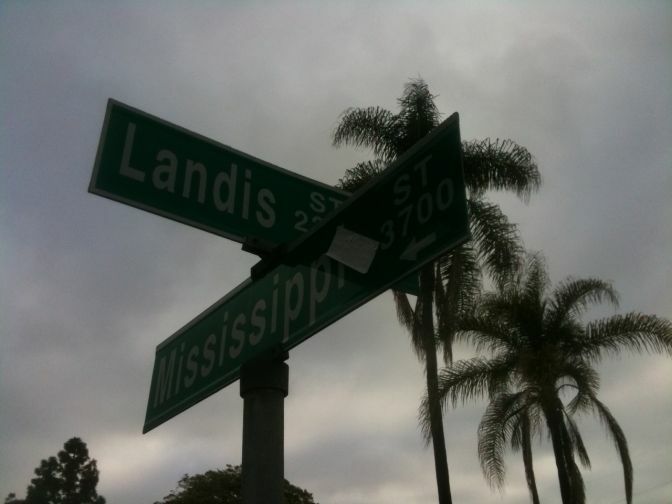 He looked up just in time to see a huge wave of Landis Street crumbling toward him. And with that, the hand of Todd cleared all.